Maxine Waters now believes that the Russians are out to get her. Ms. Waters said that Russia wanted to elect Trump so he would lift sanctions to allow Russia to drill for oil in the Arctic. Vladimir better be careful when dealing with Maxine, or he'll be in a world of hurt! UPDATE: The video below with Maxine Waters' speech has been removed from YouTube. Our efforts to find a replacement video have been unsuccessful as they all must have been sent down the memory hole. All MSM pages that featured this video now feature an empty box. How many nanoseconds did it take for Google/YouTube to comply with Maxine's demand? The video in the first post has been removed by YouTube. I went online to find a replacement video, but if any copies existed, they've been removed, too. All media stories that featured this video now feature an empty box. Keep an eye on C-SPAN 1,2, and 3 for weekend re-runs of Maxine's books and speeches. Comrades, here is the image of Maxine's district where she doesn't live. She lives just a few blocks above in a very tony area known as Hancock Park. I, personally, have seen this area. What does this shape remind you of? Maxine loves her district, even though she hasn't seen it in a long time. I'm sure she can blame its shape on the Republicans and Trump. Especially the fact that it points downward. In her case, the phrase "The South will rise again" gains a whole different meaning. Now that she's called for "total social warfare" (aka: a police state) on all political enemies someone ought to take Pink Floyd's The Wall scene where Pink goes "total social warfare" to the soundtrack of Run Like Hell. See ya in the Gulag! WOW! You always come to our rescue, Comrade Red! AWESOME video! AWESOME! As a poster, who often uses videos to make my case, I find this one so exemplary I don't know what to say except: I am stunned by your submission and find it OUTSTANDING! but Mad Maxine is has a great head start on next year's competition...Yeah, I know, Hillary is working overtime for "the prune-faced look." 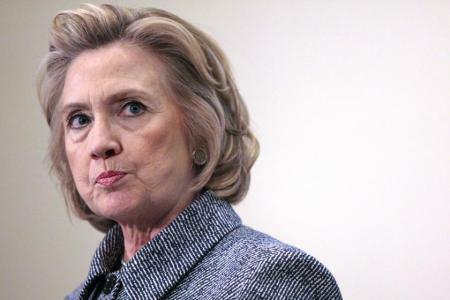 She knows that alone will get her the required votes, especially if we eliminate the annoying "electoral college." 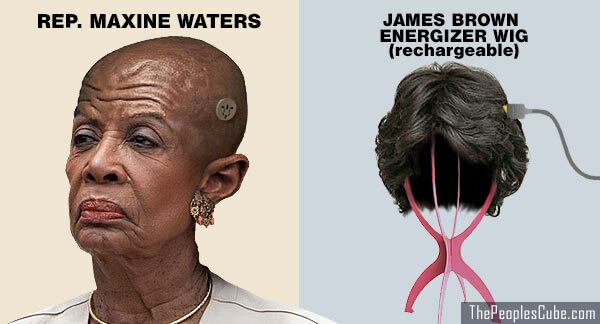 Maxine Waters Set to Run Finance if Dems Win House in '14!